Philips Hue has been around for a while and their line-up is getting bigger all the time. Those that already have the bulbs are aware that they don't come cheap, however they do deliver a great performance. 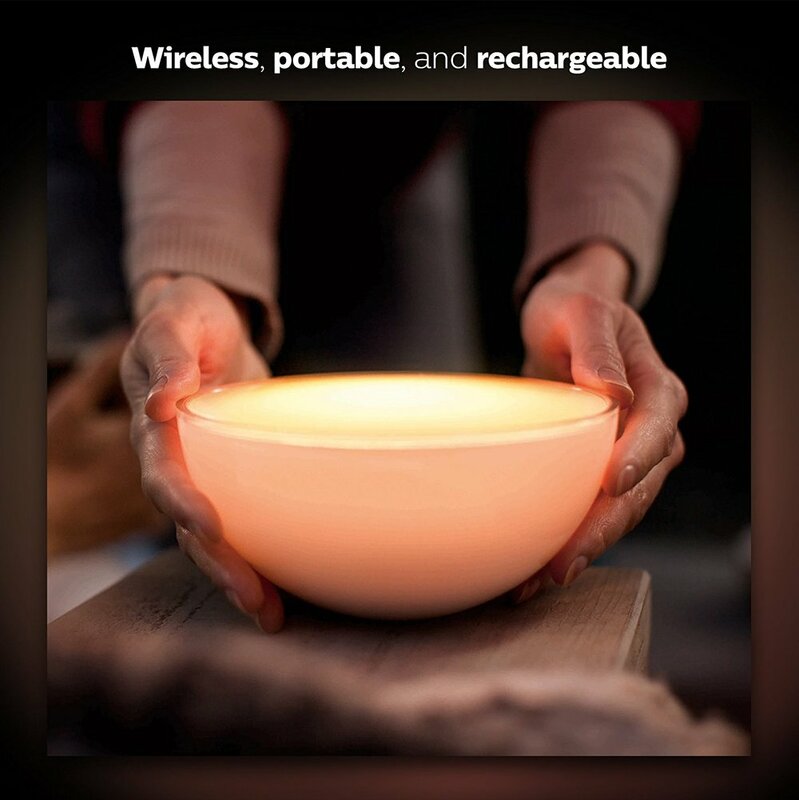 Our favourite is the Hue Go a portable wireless light that has all the great features of Hue but with the added convenience of being able to be wire free. Hue Go charges in around 1.5 hours and this gives a lamp life of around 3 hours. It works seamlessly in conjunction with the rest of the range but brilliantly on its own as a stand alone lamp. The great thing about the Go is that you can, but don't need to, operate it with the app so it is easy just to switch on and cycle through the colours. without the fuss of opening the app.